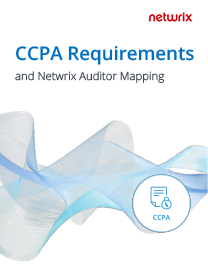 Depending on the configuration of your IT systems, your internal procedures, the nature of your business and other factors, Netwrix Auditor might also facilitate compliance with provisions of the CCPA not listed above. CCPA compliance software from Netwrix enables you to easily identify where CCPA-regulated data resides in your IT infrastructure, who has access to it and how it is used, as well as keep an eye on any suspicious activity around it, so you can ensure that no consumer information is overexposed or misused and easily pass CCPA compliance audits. 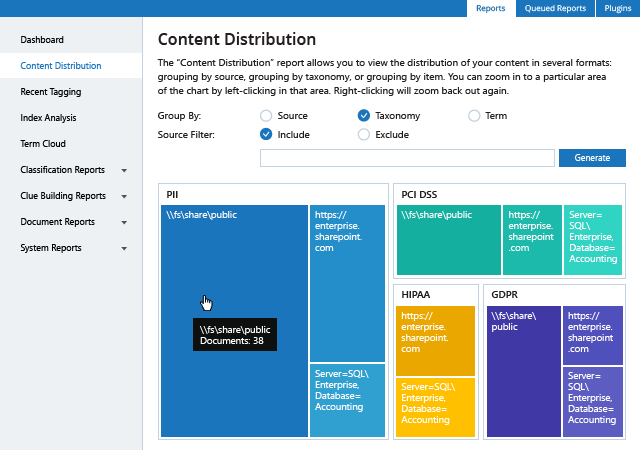 Understand what kinds of CCPA-regulated information you store, and see exactly where it is located across all your structured and unstructured data silos, both on premises and in the cloud. 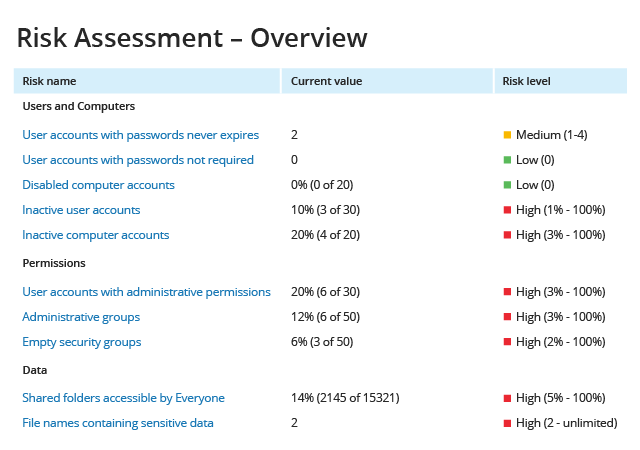 Identify and remediate both data and infrastructure security gaps in your environment, such as a large number of inactive user accounts or empty security groups. Verify that sensitive information is appropriately protected in your organization. 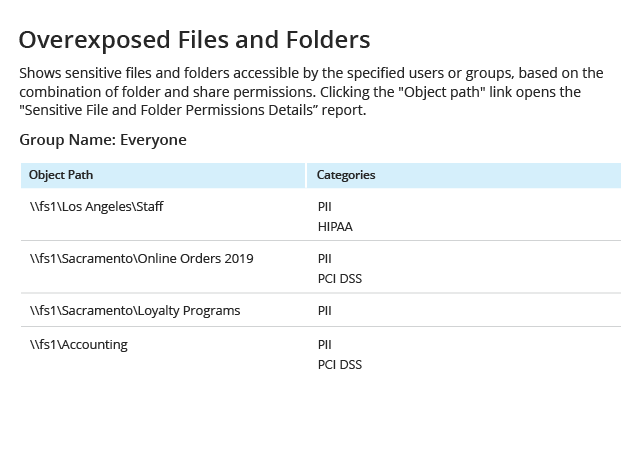 Discover any files that are overexposed and promptly take action to secure them in order to avoid data breaches. 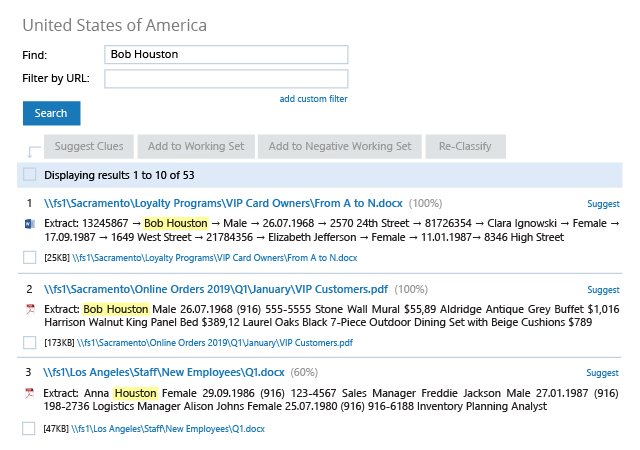 Quickly locate all information about Californian consumers who have withdrawn their consent for you to collect or sell their personal data, so you can delete it completely. Washington County receives the highest rankings for information security by protecting the PII it stores. First National Bank enables discovery and classification of sensitive data and ensures prompt detection of suspicious activity.